OLED technology is the future. New OLED mirror screens are coming on the market. Last year, Samsung revealed their very first OLED transparent television, which was 55 inches large. 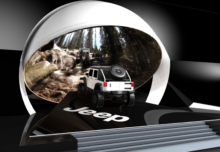 This year, the brand reveals the very first commercial use of OLED technology combined to a mirror and an interactive software, to create the very first interactive mirror on point. It is in a hair salon in Seoul, Korea, that this first display has been installed. The OLED mirror displays various hair cuts, colors, latest hair styles, and allows the customer to make the smartest choice before getting the haircut, but also entertains him/her during the hairdo. When the screen is off, it becomes a classical mirror, that is still lightened by an OLED system, though. 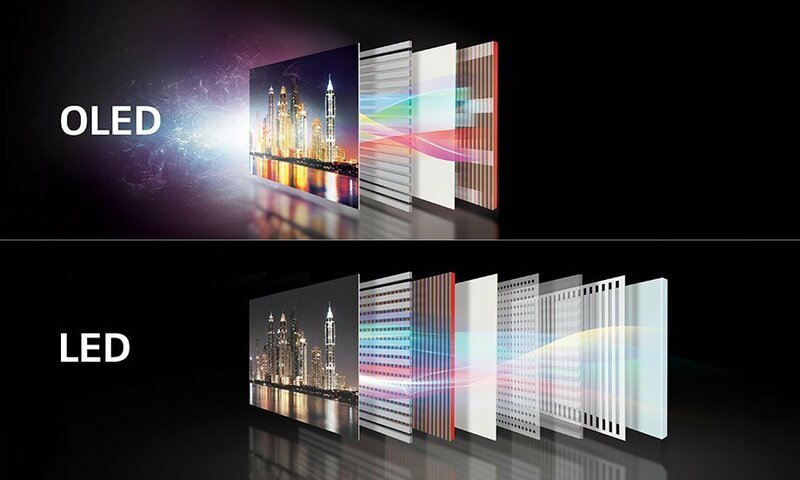 The OLED technology, like the LCD technology (on basic screens ), consists of a superposition of various layers to create light, color, black, contrast and so on directly on the material. The differences with OLED and classical LCD screens starts with the materials. 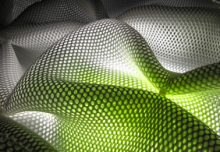 It is mainly composed of organic materials ( carbon based ) that emit light when electricity is applied to them. The basic structure of an OLED is an emissive layer sandwiched between a cathode (which injects electrons) and an anode (which removes electrons). 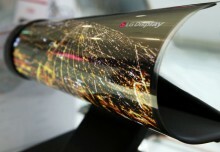 OLED technology allows less layers than LCD because the components are self sufficient; they don’t need a light layer; they produce it them selves. It’s thinness allows the OLED displays to be foldable, and adds to this incredible technology a large range of various applications. 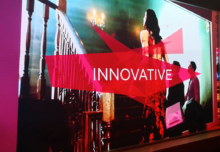 Modern OLED devices use many more layers in order to make them more efficient and durable, but the basic functionality remains the same. Transparent OLEDs use transparent or semi-transparent contacts on both sides of the device to create displays that can be made to be both top and bottom emitting (transparent). TOLEDs can greatly improve contrast, making it much easier to view displays in bright sunlight. In the future, this technology will be everywhere; advertisement, fashion stores, furniture, interior design, schools, and retail store, just to mention some. Integrated with Intel’s RealSense technology, the OLED technology will expand quickly. Intel® Real Sense™ features a front-facing camera that captures even the most subtle facial movements, precisely tracks widely varying finger and hand movements, and clearly distinguishes between backgrounds and foregrounds. In addition, the Intel technology includes a rear-facing camera that can accurately scan and measure rooms and objects, and a snapshot camera that can alter a photo’s background after a photo has been taken. The idea is to develop the mirror display, for instance, as a “virtual fitting room“, made possible by the Intel technology’s 3D cameras and an “automated library of stored perceptions.” Customers can use the high-tech mirror to see what jewelries, clothes or shoes look like on them before actually trying them on to make sure they fit. Consumers will be able to go to leading stores around the world to see retail items in ways that will greatly enhance point-of-purchase shopping as we know it today. 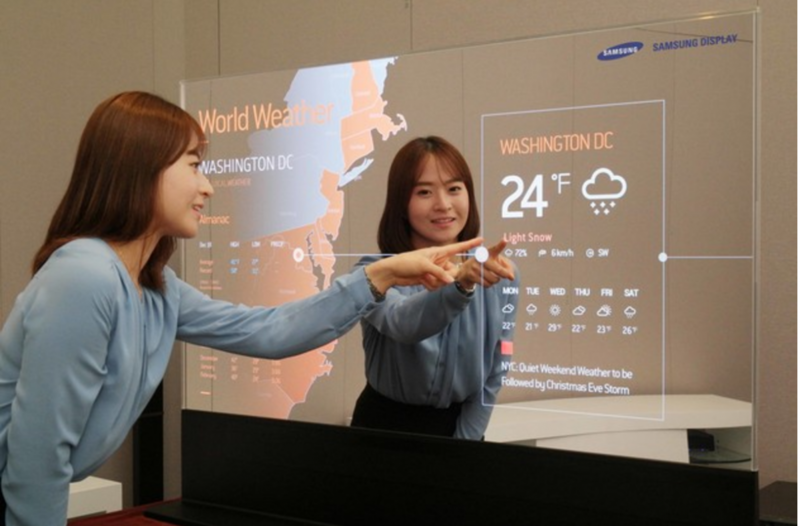 The Samsung Mirror Display may also replace home mirrors in the future, providing digital information services to sophisticated consumers in the same space where they now just have a traditional mirror. a transparency level of over 40 %, much higher than the 10 % level of today’s transparent LCD displays.In addition, the new mirror display technology does not need the ambient backlight for displaying on-screen images that LCD technology requires. The OLED mirror display combined with the Intel RealSense Technology will enhance consumer-facing displays in car dealerships, and other innovative signage applications in public information and transportation environments, as well as at retail and hospitality/hotel locations. In a close future, it’s commercial use will also be optimized and used by everyone, this technology is gonna change radically our urban and personal environment.